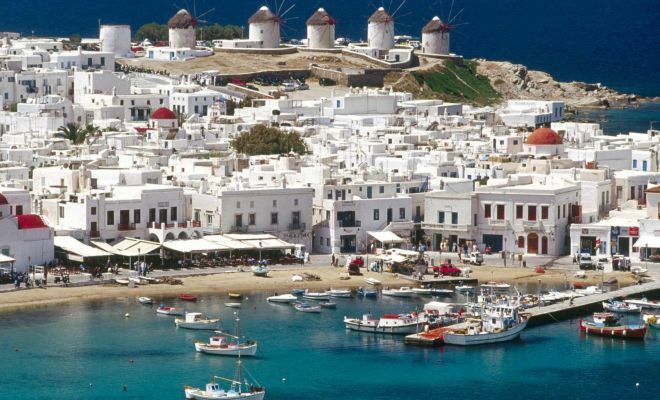 A 5 day Mykonos Greek island honeymoon vacation. 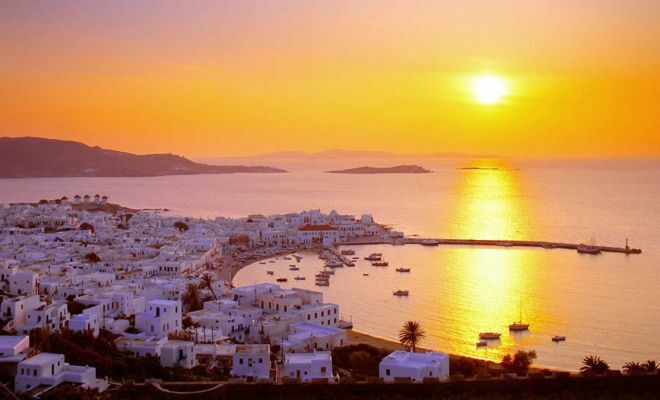 A truly unforgetable romantic experience in one of the most beautiful islands in Greece. 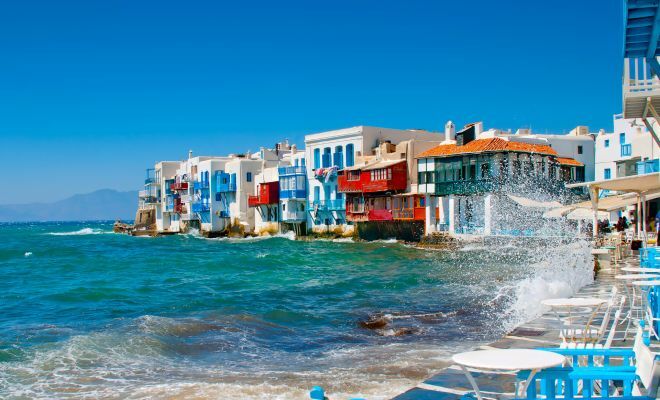 Enjoy the sandy beaches, the great food, the vibrant nightlife, and mingle with the Jetset in the unique island of Mykonos. Arrival in Athens. Connecting flight to Mykonos. 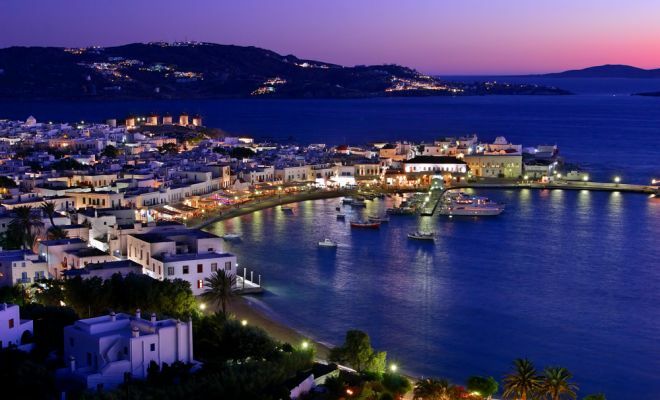 Upon arrival in Mykonos, you will be met by our assistant and transferred to your hotel. After breakfast you will be met by our guide for a 4 hour private tour of the island. 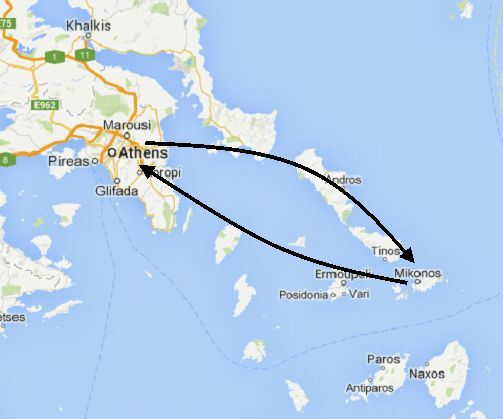 After this we are exploring the island with a bus, visiting some of the most famous beaches and the inner land- scape. 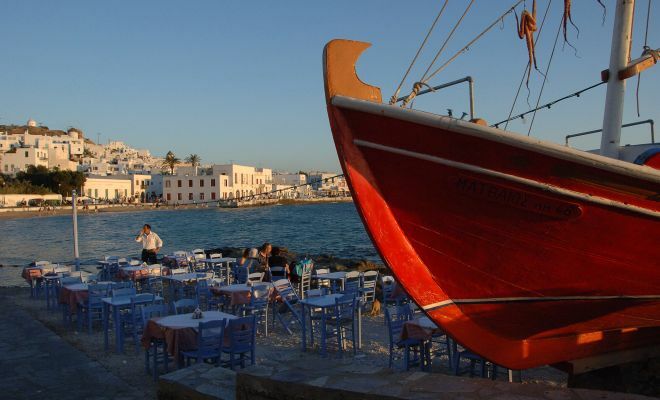 We see fishermen and their traditional boats, small private chapels and houses built in typical Cycladic style. Next stop is Kalafatis beach where there is time to relax a little and have a coffee or a refreshment (not included in the price), before going back to town and to reach a place with a fantastic view all over the town and neighbor islands.